Thankfully this months bag is filled with awesomeness !!! 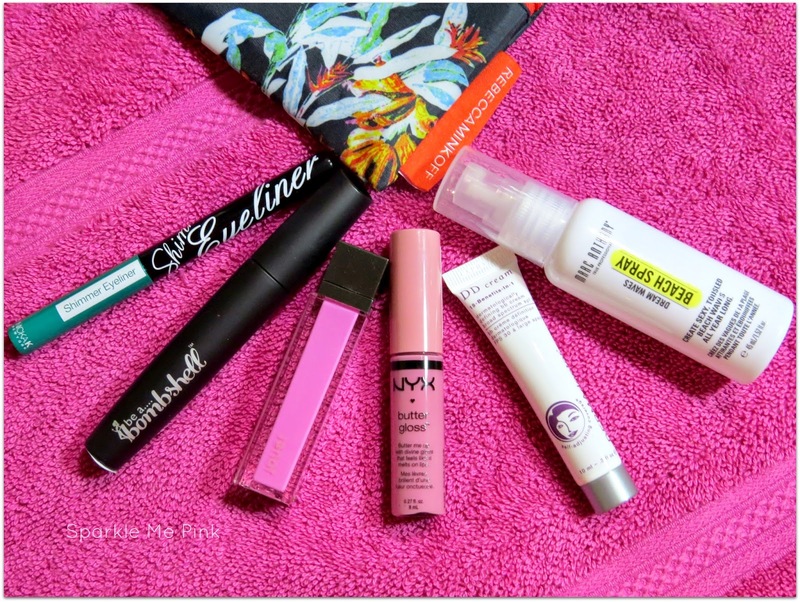 Between the Boo Boo Concealer in last months bag - MAY 2014 ipsy Glam Bag - along with the contents of this months bag, I have enough here for a full makeup look, which I think is pretty cool. 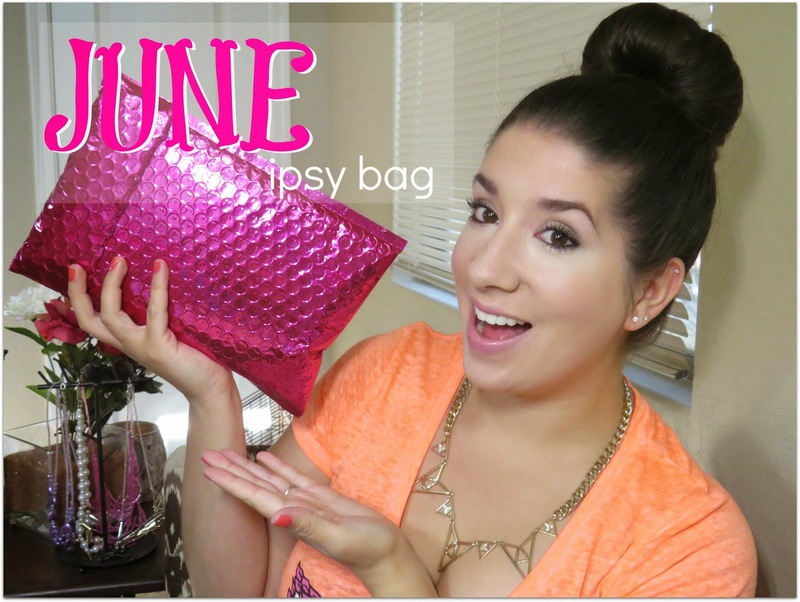 Join me on ipsy and subscribe to the Glam Bag! You get 4-5 beauty products every month delivered to your door, for just $10. Be A Bombshell Lash Out Mascara - I haven't tried this yet will update this paragraph once I do. The wand seems pretty generic and the formula looked normal not thick or anything. I've seen that a lot of the review say this mascara has a horrible scent to it ? But I always pretty congested so I can't really attest to that haha ! Marc Anthony Dream Waves Beach Spray - Smells like I just got home from the beach with beautifully tousled effortless waves. 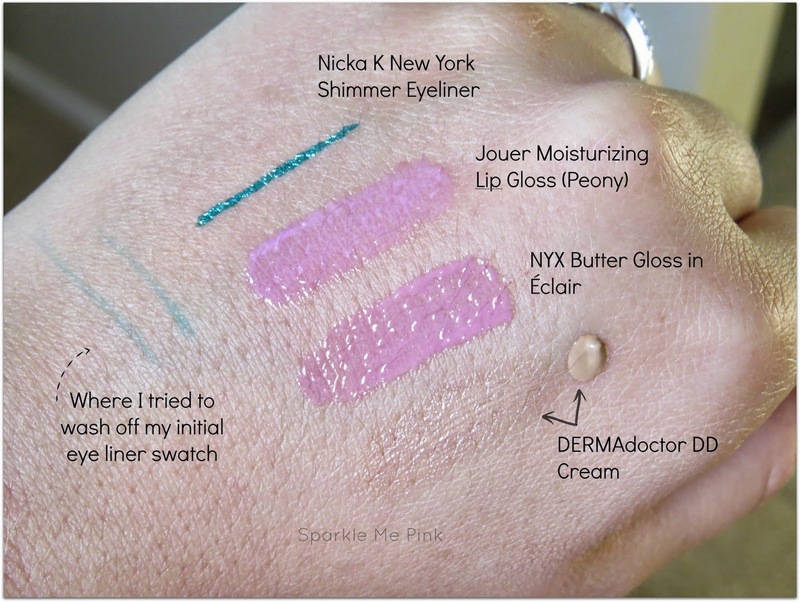 Nicka K New York Shimmer Eyeliner - Super pretty green color opaque and shimmery ! Screams tropical to me. This was difficult to wash off which is both good and bad. As it has the potential to stain your lids make sure you use some sort of primer underneath it. NYX Butter Gloss in Éclair - Last but not least the coveted butter gloss. Like I said in the video I have been wanting to try these for a while now. They are raved about all over YouTube and now I totally understand the hype ! The formula is smooth and color is perfectly pigmented. and as a Bonus item for cashing in some of my ipsy points I got the Jouer Moisturizing Lip Gliss in Peony. Gorgeous color !! How do you feel about this months bag ? Enter to WIN a $200 Thirty One Gifts #SizzlingSummer Prize Pack ! I'm waiting on my bag now! I got the beach hair spray and the bombshell mascara too. Everything else is different. I'm going to have to check out that liner. I'm always looking for liner that stays put! I'm loving those lip glosses!! Im soooo glad I got them I am obsessed !! I think I need to try Ipsy!! This looks great! So cool. I've never heard of Ipsy. Will have to check it out. I need to try an IPSY subscription! i've heard good things about em! The bag itself is really cute. I love the Nicka K New York Shimmer Eyeliner. I've never heard of IPSY, I'll have to check it out. Looks like you received some great things! I also got the bonus and love it! Great bag! I've been wanting to join Ipsy for awhile now, and I may just have to do it! I was so happy with my bag this month after last month's bag. I wish I had gotten that eyeliner though; it looks amazing!